Amazon.com has managed to make the news again for the success of the company’s Kindle ebook reader — without having to disclose meaningful sales numbers to the media. As such, Amazon.com does publishers a disservice, asking them to invest in the Kindle format without providing adequate information about the size of the market. In the latest non-disclosure, Amazon.com released a statement last Monday that sales of Kindle files outnumbered sales of hardback books for the first time, with 143 Kindle files sold for every 100 hardback books. No mention of sales revenue. No mention of the average price of a Kindle file vs. a hardback book. Using the title of one of Amazon’s bestsellers, CEO Jeff Bezos exclaimed, “We’ve reached a tipping point with the new price of Kindle,” followed by this convoluted measure of success: “The growth rate of Kindle device unit sales has tripled since we lowered the price from $259 to $189.” The growth rate of device unit sales? 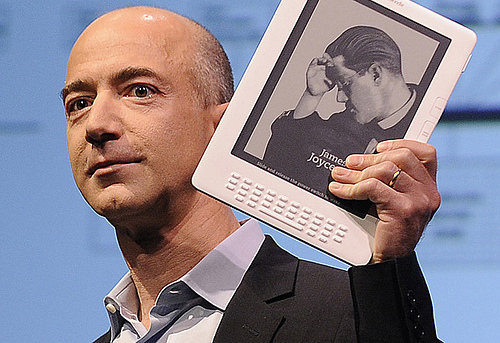 How about just sales, Mr. Bezos? The truth is that Kindle is more of a “long tail” than a tipping point: an insignificant generator of revenue for Amazon.com or for book publishers. Mr. Jobs at Apple Computer is a little more forthcoming. Nicholas Kolakowski at eWeek reports that the iPad sold 3.27 million units in the second quarter of 2010. In three months, the iPad eclipsed the total estimated number of Kindles sold in almost three years (1.5 to 3.0 million, according to estimates). The iPad is estimated to sell between 12-15 million units next year, finally providing an installed base large enough to excite publishers — especially magazine and newspaper publishers, who find the confines of Kindle’s small, black-and-white screen very uncomfortable. Ten years ago, I presented a program on the Economics of Epublishing for the Publishers Association of the West (PubWest). I reminded publishers that when the e-rights to their books become valuable, people will offer money for them. Epublishing should be a revenue stream, not an expense stream, for book publishers. The companies that did not invest heavily in conversion to proprietary e-reading systems in 2000 had saved a lot of money chasing a market that still, today, has not appeared. Recent figures suggest that approximately three percent ($200 million) of total book-market revenue ($80 billion) comes from e-book sales… For argument’s sake, let’s say that 80 percent of all trade e-books sold are e-book versions of print best-sellers. Only 12 publishing companies represent the bulk of all best-selling titles. That leaves a paltry 20 percent of sales to be divided among the remaining tens of thousands of mid-size, small and self-publishers. In dollars and sense, that’s not enough income to sustain a mid-size house. That does indicate a necessary shift in economic strategies for those 12 trade houses. For the rest of us, the pressure is not that great to stampede to get our book files turned into e-books. Like me, Rudy Shur thinks a lot of the hype around ebooks is venture capital jockeying for position, rather than consumer demand generating revenue. I’ll go one step further and suggest that the Kindle’s main value is in generating media coverage for Amazon, not generating profits. If the real Kindle numbers were known, there would be a lot fewer stories about Amazon in the media, and publishers could make investments based on solid figures, not self-interested spin. Image by TimYang.net, used under its Creative Commons license.